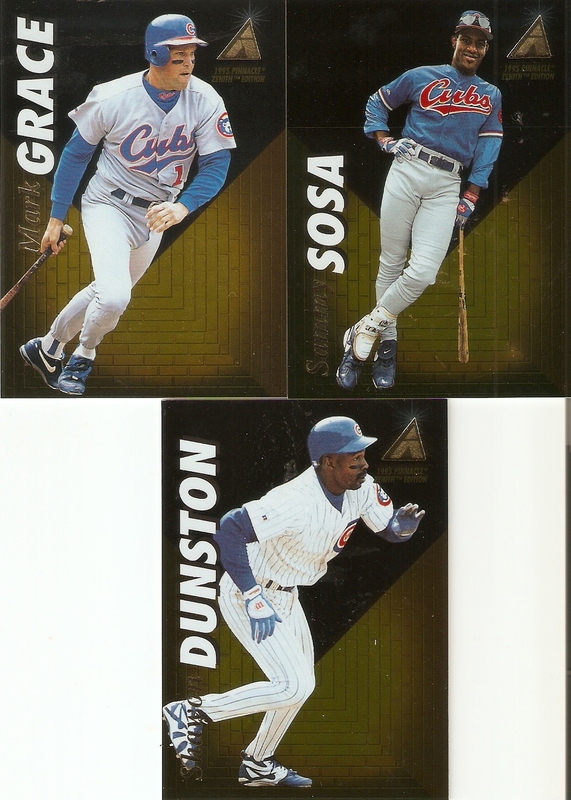 I haven't really bought a whole lot of wax in the last year or so, but I do like to take place in the occasional group break, and Cardboard Collections' Affordable Group Break from a month or two ago afforded me the opportunity to get a few new cards at a pretty reasonable price. 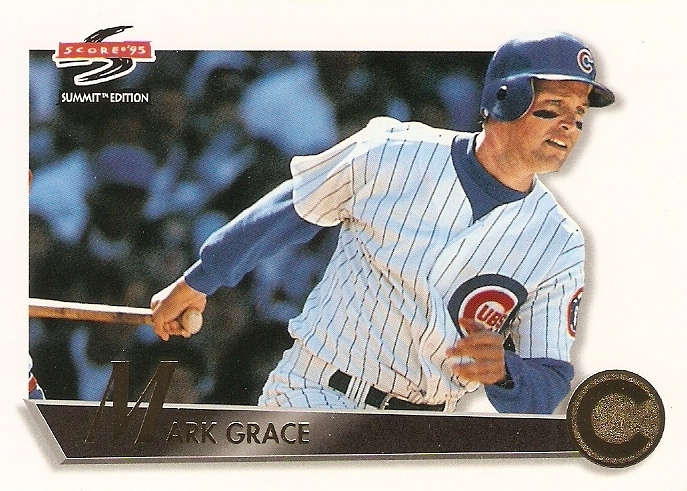 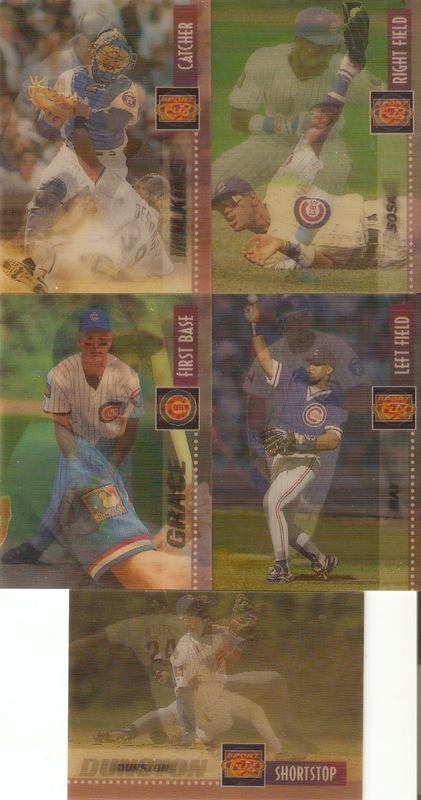 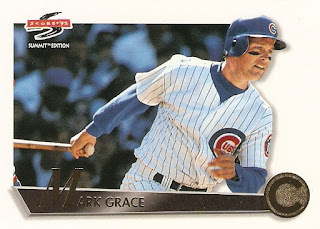 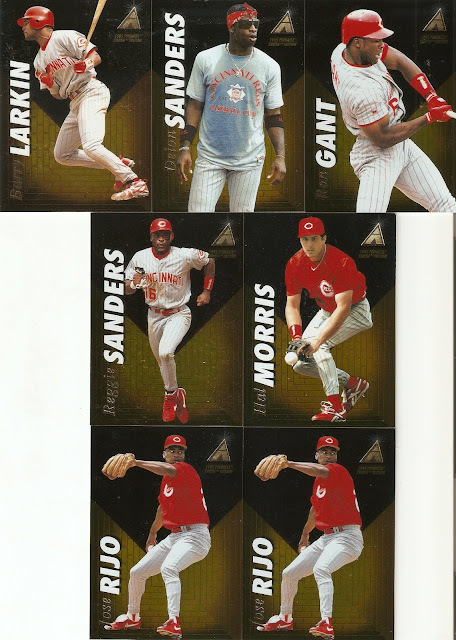 For this break, the theme was "1995 Flashback," specifically 1995 Pinnacle products. One box each of Sportflix, Zenith, and Summit would be opened, and for a pretty low price, I decided to go for it, of course, picking my Chicago Cubs. 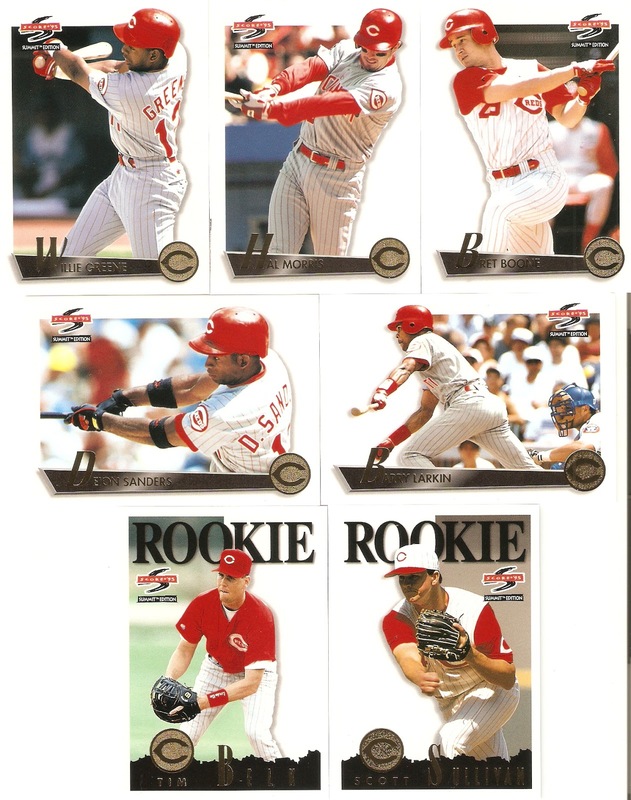 My second team that I was randomed was the Cincinatti Reds. I did much better than them numberwise, getting 7 from Sportflix, Zenith, and Summit. 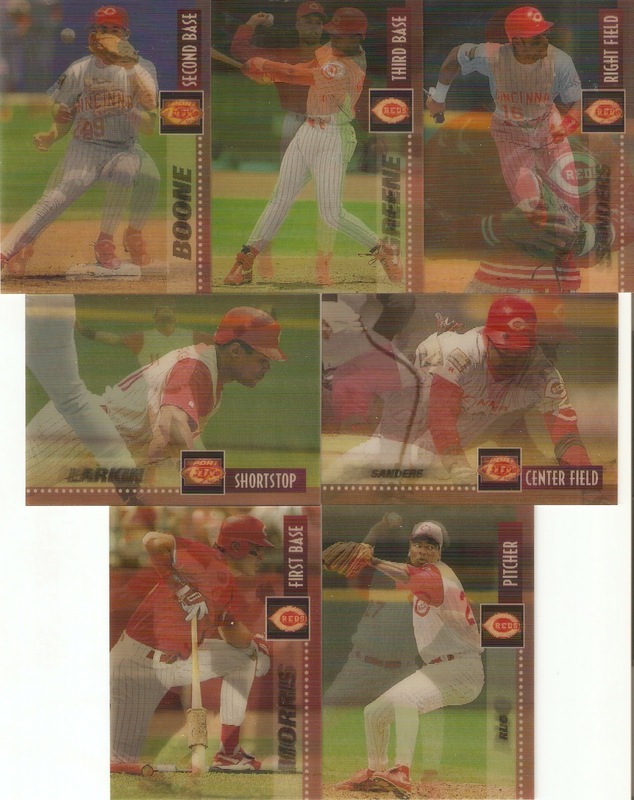 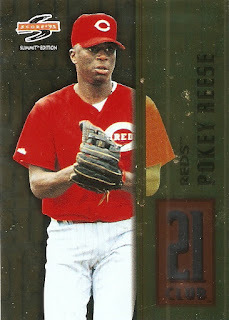 The Reds also brought me my only insert of the break, a 21 Club cards of Pokey Reese.